LOVE Kissing Mickey and Minnie Shirts (Listing Comes One Shirt Only)- These make great gifts for your boyfriend, girlfriend, husband, wife, best friend, mom and dad. 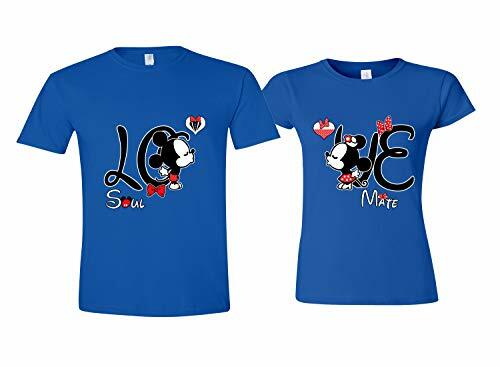 Show your love with these ÒMickey and Minnie" matching t-shirts. - PLEASE review the SIZE AND COLOR charts before ordering! 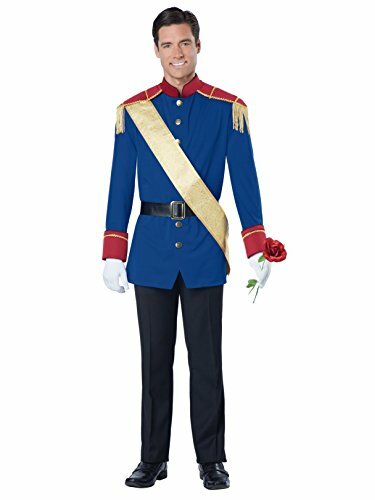 - We want you to love your purchase, but if for any reason you are not completely satisfied, we will gladly accept returns within 14 days of purchase. In order to meet return requirements, items being returned must be in their original condition (unwashed, undamaged and unworn). Please note that shipping fees are non-refundable in returns. If you have any questions, please do not hesitate to contact us! 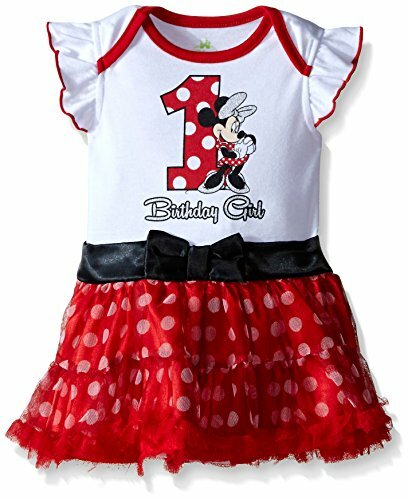 Mickey and Minnie Matching Couple Shirts - It is great gift option for your boyfriend, girlfriend, husband, wife etc. 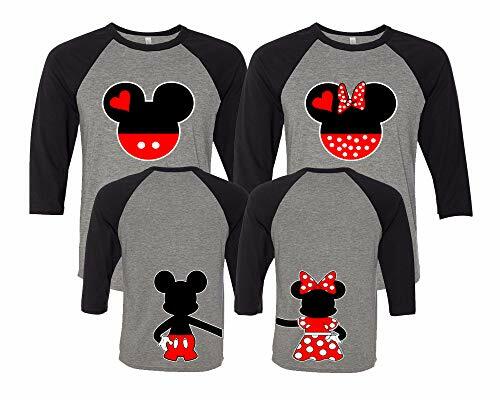 Show your love with this Mickey and Minnie Shirts with Holding Hands in the back. - The price is listed for one shirt. - PLEASE review the SIZE AND COLOR charts before ordering! 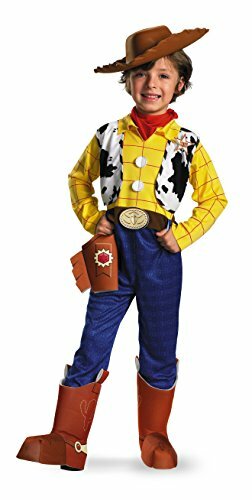 - We want you to love your purchase, but if any reason you are not completely satisfied, we will gladly accept many merchandise returns within 14 days of purchase. In order to meet the return requirements, items being returned must be in their original condition (unwashed, undamaged and unworn) Please also note that the shipping fees are non-refundable. If you have any question, please do not hesitate to contact us! 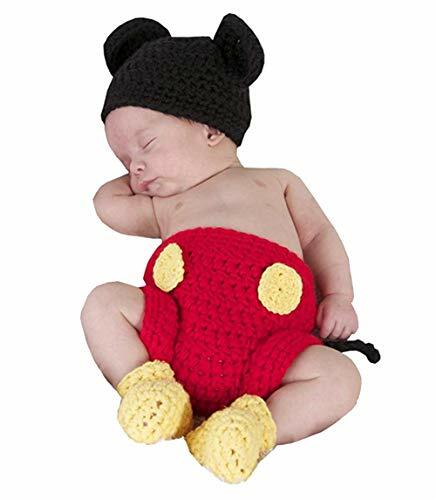 Mickey and Minnie Disney Family Set - These make great gifts for your boyfriend, girlfriend, husband, wife, best friend, mom and dad. 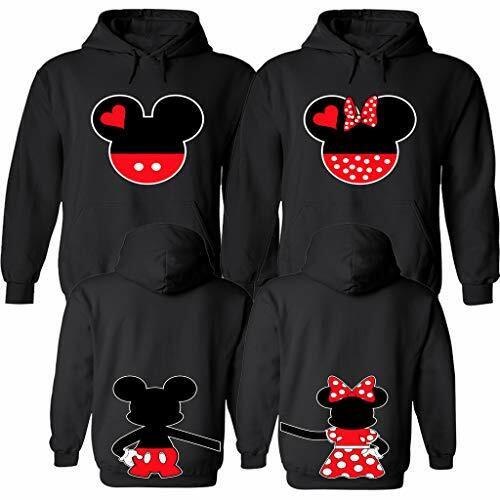 Show your love with these "Mickey and Minnie Matching Disney" hoodies with holding Mickey and Minnie hands on the back. - The price is listed for one hoodie - PLEASE review the SIZE AND COLOR charts before ordering! - We want you to love your purchase, but if for any reason you are not completely satisfied, we will gladly accept returns within 14 days of purchase. In order to meet return requirements, items being returned must be in their original condition (unwashed, undamaged and unworn). Please note that shipping fees are non-refundable in returns. If you have any questions, please do not hesitate to contact us!